ASH BORER: Vincti, sequimur in tenebris taedas. Vincti, sequimur in tenebris taedas. 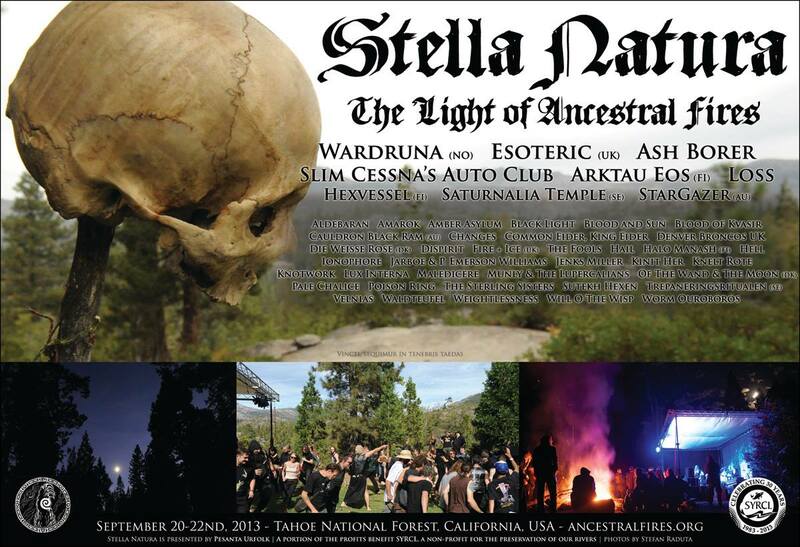 We are pleased to announce that we will be performing once again at the magnificent Stella Natura festival in the Tahoe National Forest, California this September. Ash Borer will be co-headlining on Friday night. This is likely to be our only remaining performance in 2013, and will also feature appearances from Wardruna, Esoteric, Jarboe, Stargazer, and many more.